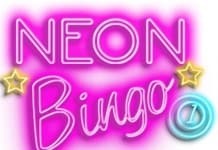 Sky Bingo | Free Bingo and Bonuses | BetOTG | Bet On The Go! Sky may not be the first name that comes to mind when your thinking of playing bingo, but we believe they are the most under-rated bingo site around. Why do we think this? Well for starters they have and unbelievable sign-up offer. Join today and deposit £5 and Sky Bingo will give you £40 FREE to pay with (£25 Bingo Bonus and £10 Rainbow Riches Bingo Bonus plus your original deposit). That’s a staggering 700% FREE bonus cash to play with a minimum spend of £5. You won’t find a better bonus booster deal, so grab it before they realise how good it is! And the freebies don’t stop there. If your clever enough to deposit on a Wednesday, Sky Bingo will give you up to £25 FREE Cashback. You gain a bigger percentage depending on your loyalty level and the more you deposit the bigger the cashback so take advantage every Wednesday of FREE cash. With the FREE Daily Scratchcards customers can get a chance to win up to £500 each day. Just login to get you free scratchcard to be in for a chance to win big. Sky Bingo have some great bingo games to play. You can choose from classic 90 and 75 ball to the exclusive Deal or No Deal and Lucky Numbers. If you prefer to play for big jackpots well you’ve come to the right place! For instance throughout August you can play the BOGOF BingoLinx promotion to be in for a chance to win an amazing £500k, simply play in the Sky Anytime Room ten times a day with tickets just 50p. There are also £2k Newbie Rooms for bingo newbies to bet their wings and £50k Friday where a guaranteed £50,000 must be won in the Anytime Room across the whole day. Sky have built a reputation of providing great a service with fantastic deals and that’s just what they have done with Sky Bingo. The site is every bit a polished with easy to find menus as you would expect from such a big brand. 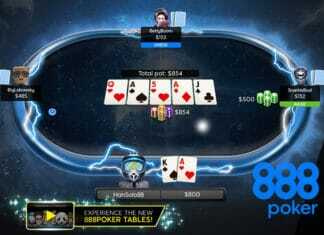 The games look amazing and are quick respond on both tablet and phone. We were really impressed with the first deposit bonus and there’s plenty of big money jackpots and prizes to keep any bingo fan entertained for some time.